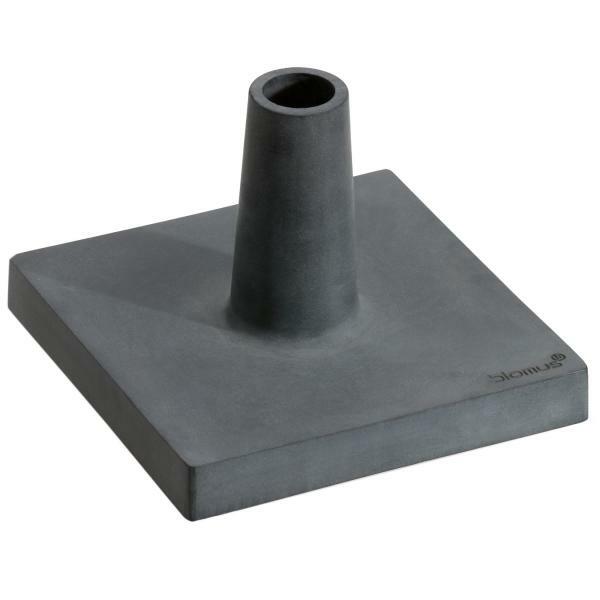 The Baso outdoor garden torch base is weighted and made of Polystone to give it a nice modern cement like look but it is not. 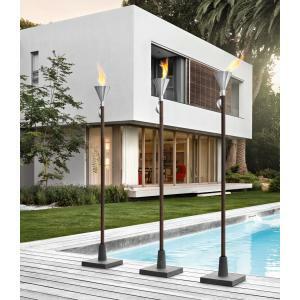 It is good for all Blomus outdoor wooden pole torches. L 10.2" x W 10.2" x H 7.6"